Zoomed in. The mountains are still about 40 km away. The hotel from a distance. The prototype of a Swiss Grand Hotel. One of the longest small gondolas in the world. Down in the valley it’s still late summer. At the top, one could actually start skiing. In the background some of the north faces of the Lauterbrunnen Valley. 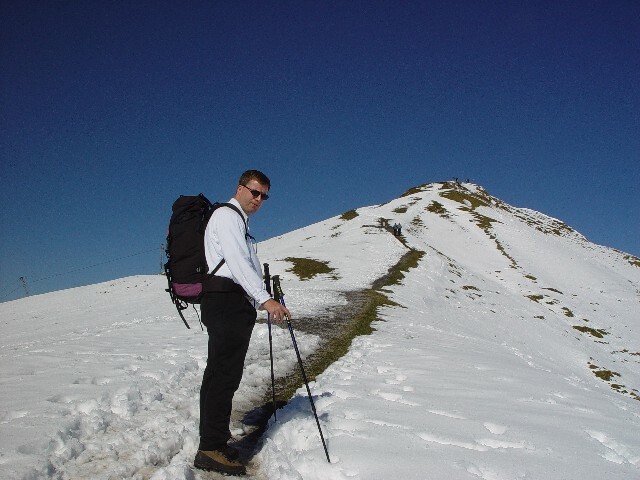 It’s really only a short hike, but with the snow cover it looks impressive. Eiger, Mönch, and Jungfrau in the background. In the background the north faces of the Lauterbrunnen Valley mountains. 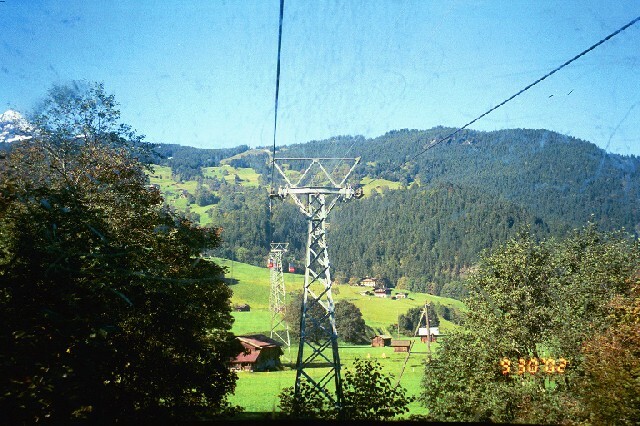 This photo is taken from the tram going up to Wengen and later to Kleine Scheidegg. 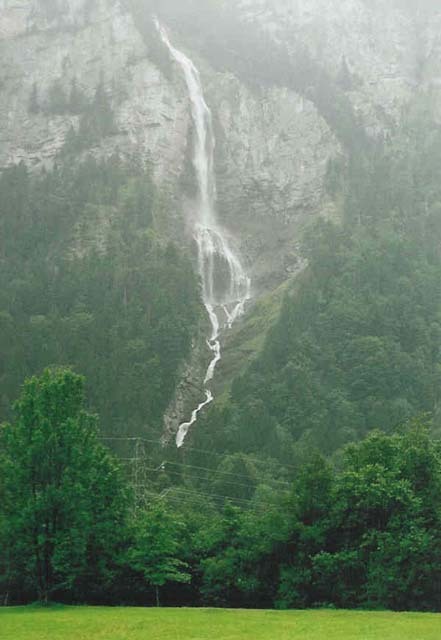 Waterfall on the other side of the valley. The fall is certainly more than 200m high. Picture is taken from the tram to Wengen and Kleine Scheidegg, towards Lauterbrunnen. A view from a freeway parking lot near Bern. The view from our hotel room towards Jungfrau. 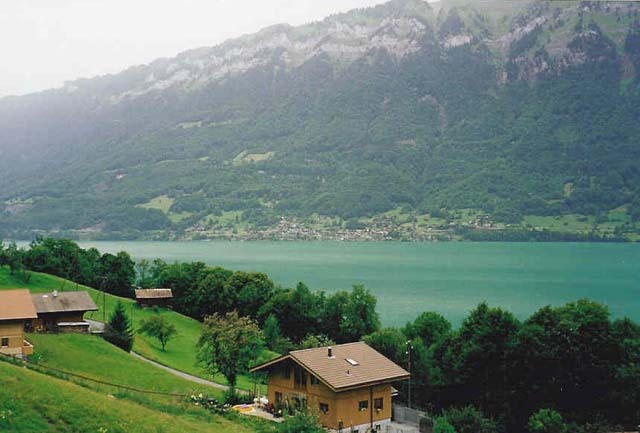 The meadow in the foreground is the famous "Höhmatte" of Interlaken. Once again our summer vacation was a pilgrimage to the Alps. 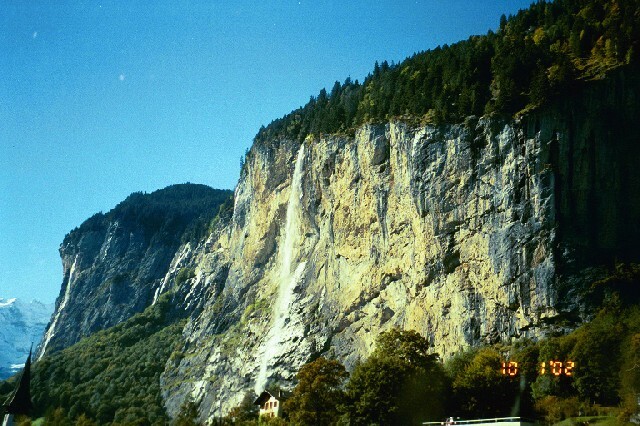 And once again we stayed at Victoria Jungfrau in Interlaken. This was another wonderful Wenger family vacation. 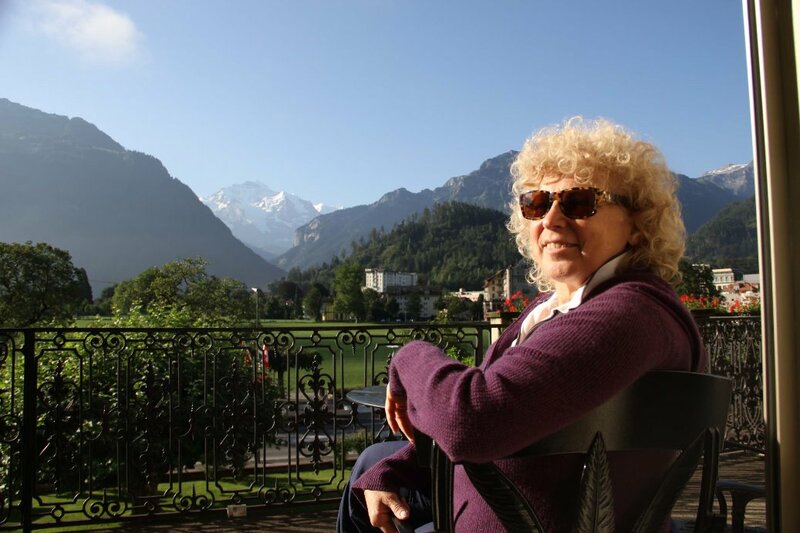 In between our day trips to Saas Fee, Jungfrau, Öschinensee, Aletschgletscher, Leukerbad, Furkapass, Grimselpass, Kandersteg (with Aletschgletsher), Schilthorn and Mürren, we enjoyed the view from our balcony as we watched the mountains and the hang gliders while sipping wine.